Many years ago I wrote a Java-based application that allows the user to experiment with card counting systems. 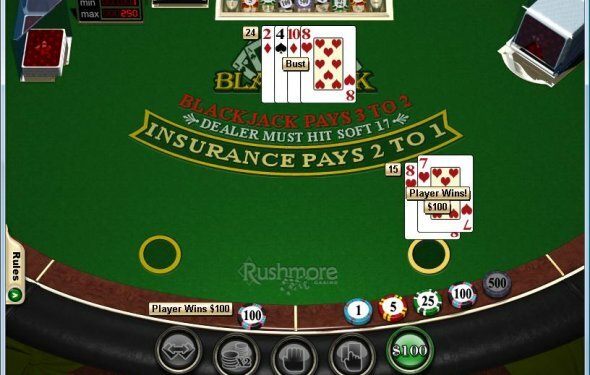 For a long time I called this application the “Card Counting Computer” (CCC), and later changed the name to the Blackjack Analyzer (it sounded more professional). The CCC allows the user to input various parameters for a card counting system and then to simulate as many rounds of play as the user wants. Few on either side of the table intuitively understand the true experience of blackjack card counting. This application was my effort to allow the user to see, in real-time, what that road is like. I’ve always had better luck with Firefox (Mozilla) than IE. I originally wrote this program in about the year 1998, so there may be a “deprecation” that causes it to not work quite right. Google Chrome also works. For Chrome, you may need to update your JRE to the latest version. Or, just click “run this time” without the update. My experience is that the CCC applet runs the fastest on Chrome. This is a Java applet. You may get a message that says that CCC has security vulnerabilities. You may need to click somewhere that says it’s okay to proceed. Believe me, it’s okay. It’s just that browsers don’t like Java applets running without your permission. If all else fails, use Firefox. This applet does not include any strategy deviations with the count. It simply plays according to a fixed basic strategy, and varies the bets according to the variables the user inputs. Because basic strategy varies slightly based on the rules and number of decks, the strategy used in your simulation is probably good but not perfect. This is a Java applet, and unfortunately WordPress does not allow applets like this to be posted on its blogs. Therefore, you will be re-directed to my main business website to run it. Questron is a fantasy role-playing video game series produced by Strategic Simulations, Inc. In Questron the player takes on the role of a young serf who tries to make a name for himself by traveling the realm in order to gain the power and experience necessary to defeat the wicked "Mantor", ruler of the "Land of Evil". Homemade 6809 computer plays blackjack!